I'm starting off here with a quote for good reason - this book contains quite a few good ones. Gretchen Rubin was a lawyer turned biographer turned self-help book writer. Her career history is evident when you read this book. She's very detail-oriented in her research and she utilizes many quotes from influential people in history including Yeats, Samuel Johnson, Michel de Montaigne and Leo Tolstoy. 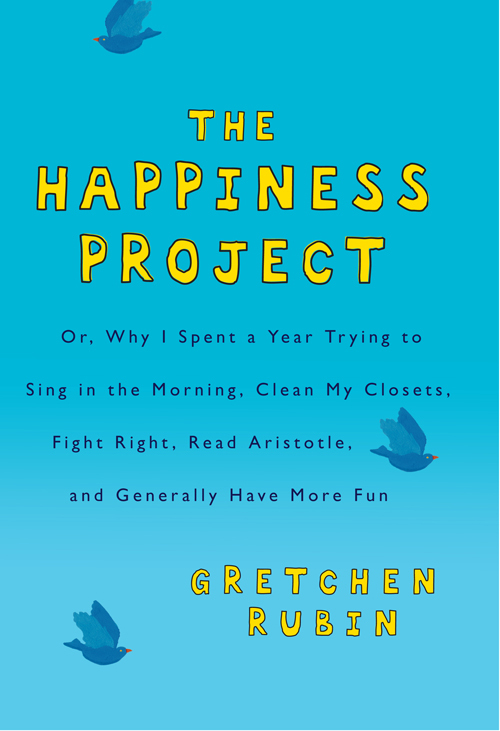 This book is basically a journey that chronicles Gretchen's quest to increase happiness in her life. She comes up with tangible ideas to strive towards with a list of personal maxims to guide her. Her resolutions are loosely put into categories and she focuses on improving different areas of her life each month for a year. There are a lot of personal experiences of Gretchen in the book and you get a very good sense of her emotional state, neuroses and way of thinking. One of the issues I have with this book is that there are many instances where Gretchen contradicts herself. One really important point from the early stages of the book was that the opposite of happiness is unhappiness - not depression. Then in page 107, she contradicts her own words. She also states that "we" need to "anticipate" something in order to be happy - a contradiction to an earlier report that unexpected events make us happiest. Stating "we" need to anticipate something in order to be happy is presumptuous, though it seems that it makes sense for Gretchen (perhaps she should have used "I" or backed up her claim with research). There are a lot of jumping to conclusions by Gretchen based on her own beliefs without backing... something I find strange for someone with a background as a biographer and lawyer. Gretchen also mentions a few ideas that she doesn't get around to trying and states repeatedly that perhaps she'll leave them for "Happiness Project II", which I found absurd because you would think that this would become a lifestyle initiative which is ongoing, instead of a project you do and then abandon like someone who eats really healthily before a wedding and then pigs out afterwards. Given that Gretchen has turned this book into a business idea and mantra, I doubt this was her intention, but it still comes across poorly. There is one very good point in this regard on page 288 where Gretchen states the difference between goals and resolutions (goals are completed and resolutions are ongoing). ...which implies that each person has the power to improve upon their happiness in this last category. The reason why I personally read this book was to see if it would stimulate any thought in regards to increasing my own happiness. 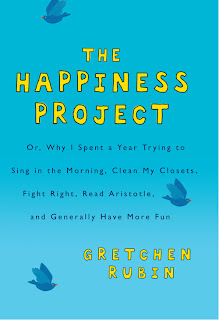 Like Gretchen, I'm not an unhappy person, but am simply looking for ideas to improve upon happiness in my life. Since I'm currently in a large transition period, this seemed like an appropriate book to be reading at this junction. I wrote down a bunch of my own goals as I was reading this book, in a spreadsheet. There is a tool for your own project at one of her websites: http://www.happinessprojecttoolbox.com/, but I just created my own for various reasons. I'm not sure how gung-ho I'm going to be about tracking things but I will keep a few of these ideas in the back of my mind at the very least. One thing I have tried has been de-cluttering my life. I have removed my twitter account and stopped reading other blogs... because I found myself spending far too much of my time on 'checking' things. I have an addictive personality and rarely do things half-assed, so I knew that I would have to give these items up cold-turkey. 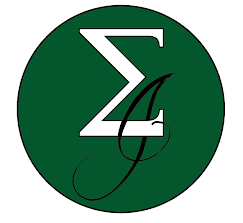 Plus, I have many bloggers on Goodreads and I can see what they've thought of books passively on that site. You can find me under the "Eclectic Indulgence" moniker. I have also started to de-clutter my apartment so that moving will be easier, working my way to getting to sleep earlier, exercising more and generally focusing on becoming more patient. These are just a few generic examples (I won't get into specifics here) - and while healthy eating/exercising is pretty straightforward, there is a reason why many people list this as their goal... some for personal aesthetics but many for a general uplift in mood. Anyway, I feel I'm rambling here so I'm going to cut this off and get to some quotes. In summary, don't expect anything transcendent from this book. There are some good examples given and many ideas you should be able to personally apply from this book, but you will have to read much rambling about unnecessary circumstances of Mrs. Rubin's life to get at them. In the end though, it's all about application... and if you're searching for something to do, at the very least, this book should begin to stimulate your own thought processes. Hey, so I found you via Jillian's brainchild - The Classics Club - and couldn't help but read this review specifically since I contemplated picking up the book recently. And I must say, I'll probably end up NOT reading it. I went to the website and played around for a bit and was somewhat on the fence. After reading your thoughts I'm thinking that (although I might enjoy the quotes) I might get frustrated knowing that I'm not being told anything new. I'm thinking that my obsessive personality plays an important role in my bad habits. Heh, ya think? I'm often drawn to eastern philosophies and more meditative practices but can never last longer than a few months. The chaos of the world intrigues me too much. I am reading Man's Search for Meaning by V. Frankl again. Have you read it? I personally think it's one of THE most brilliant works on happiness and meaning. But, that could be me as I naturally lean more toward existential meanderings. Okeydoke. That pretty much does it. Good luck on your own goals and resolutions. ;-) I'll probably continue to meet my goals and procrastinate on my resolutions. You quit Twitter, and I just joined. Funny thing, the very day I signed up I thought my first message was going to be to say I was taking an "Internetcation." I didn't. But I do have wavering and conflicting feelings about twitter, blogs, google reader, etc. Connection can be good, but checking things takes a lot of time. You're wise to narrow it down and hone it in. Several times per year, I try to reassess and simplify things where I can. @Christina: I had never heard about 'Man's Search for Meaning'... sounds right up my alley. I will check more into it - thanks!